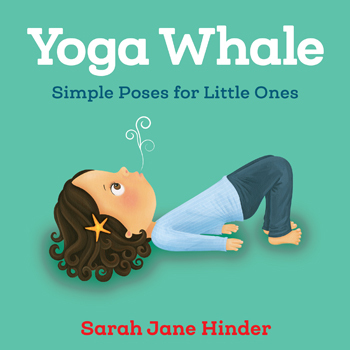 With Yoga Whale, babies and toddlers will dive in to the joys of yoga in this colorful board book featuring the ocean and its wonderful inhabitants. Kids meet a charming group of creatures including dolphins, crabs, seahorses, jellyfish, and more. With clear and simple instructions for 10 authentic poses, writer and illustrator Sarah Jane Hinder presents an easy-to-learn yoga flow for the littlest readers. Countless studies have shown that reading with children in their formative years plants the seeds of lifelong literacy, creativity, and an appreciation for language. An early introduction to yoga has countless benefits as well, teaching children movement, yoga breathing, a love of exercise, and respect for their bodies.